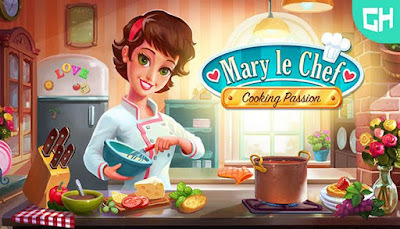 Mary Le Chef – Cooking Passion is developed by Cateia Games and published by GameHouse. It was released in 23 Jun, 2017. In Mary le Chef – Cooking Passion you’ll enjoy 60 restaurant levels, and 30 extra challenge stages across 6 charming chapters. Prepare 70 different dishes, and upgrade your restaurants and menus. While cooking all those tasty recipes, you get to watch a wonderful story unfold. Mary works at large law firm – and being a real Vanderworth, her parents expect Mary to have a successful career as a lawyer. Except, Mary feels she has a different calling – she loves cooking, and wants to become a chef! Will Mary have the courage to stand up for herself, and follow her heart? Have fun playing Mary le Chef – Cooking Passion, the time management cooking game for food lovers!